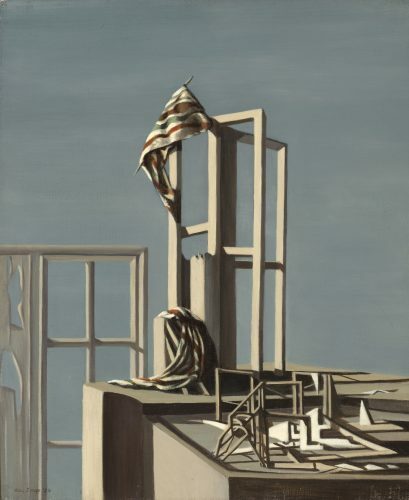 Kay Sage: Serene Surrealist recreates the American artist’s inaugural 1950 exhibition with the Catherine Viviano Gallery in New York. 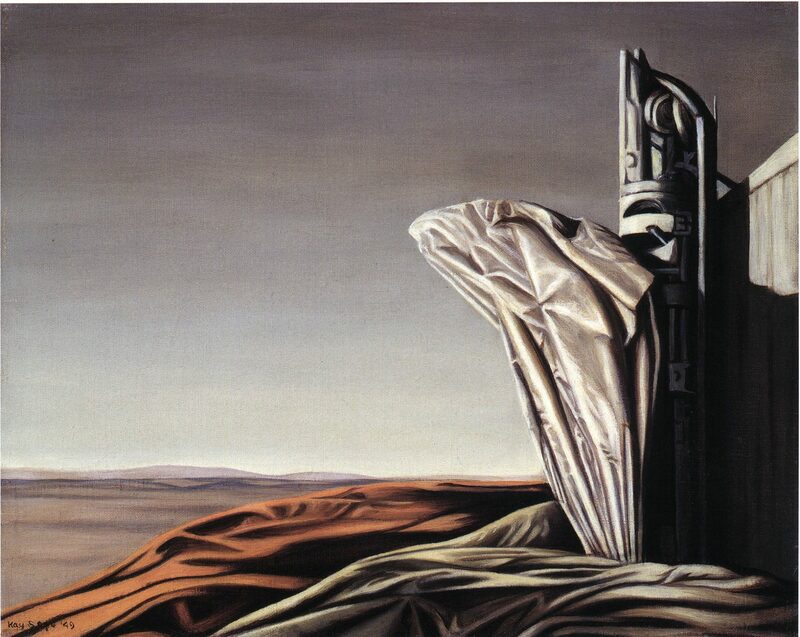 One of the few women Surrealists, Kay Sage (1898-1963) achieved notable success during her career. Sage’s representation with Catherine Viviano followed her successful solo showings at the Pierre Matisse Gallery, Julien Levy Gallery, and the San Francisco Museum of Art. 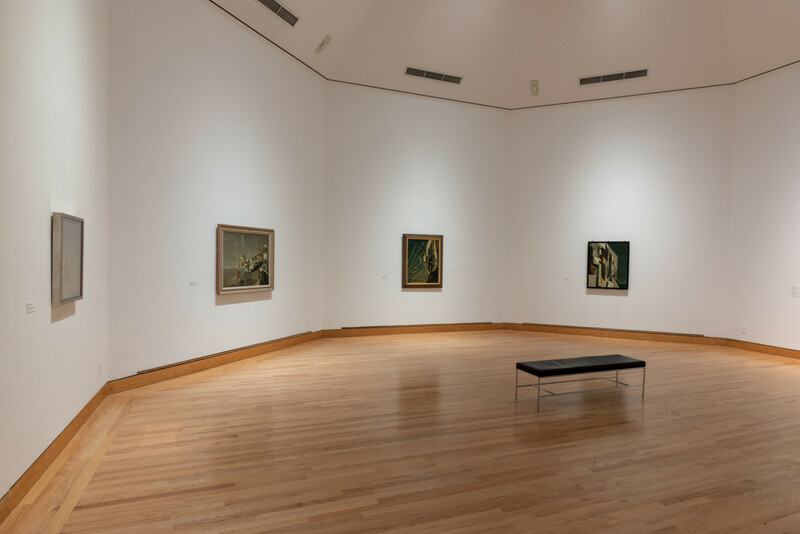 The paintings included in the 1950 exhibition demonstrate a shift to diffused light, scaffold-like elements, and subdued colors, qualities for which the artist became best known. Of the original fourteen paintings shown that year, one was destroyed in a fire and one was sold from the exhibition to a private collector and has since gone missing. 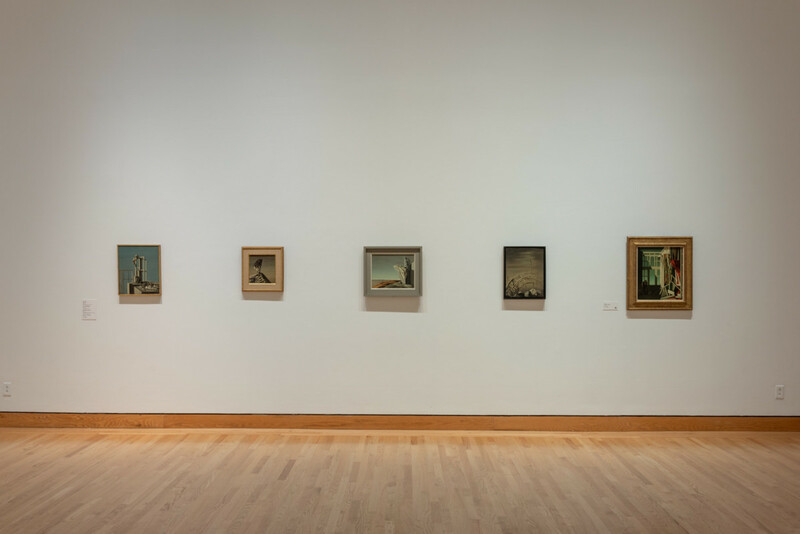 This intimate look at her paintings brings viewers into a dream-like world where, in Sage’s words, things are, “half mechanical, half alive.” The exhibition comprises all twelve of the extant paintings, marking their first showing as a group in over 65 years. 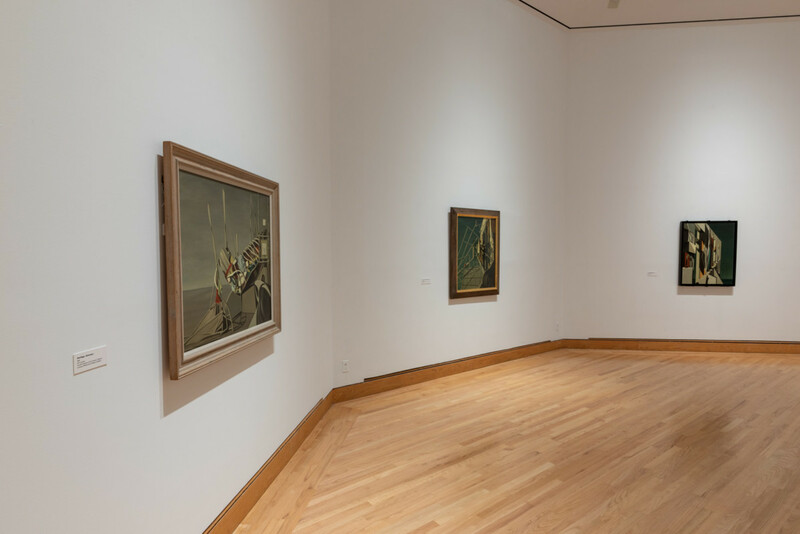 This exhibition is presented in conjunction with Collector and Benefactor: Kay Sage and James Thrall Soby, a focused display of six works from WCMA’s collection. The Kay Sage: Serene Surrealist exhibition coincides with the October 16, 2018 release of the Kay Sage Catalogue Raisonné published by Prestel. Sage was born the daughter of a wealthy senator in 1898 in Albany, New York. After her parents divorced early in her childhood, she moved with her mother to San Francisco, taking extended trips to Europe throughout her youth. In 1919, she attended the Corcoran School of Art in Washington, DC and upon moving to Rome in 1920, briefly studied at The British School and Scuola Libera delle Belle Arti. 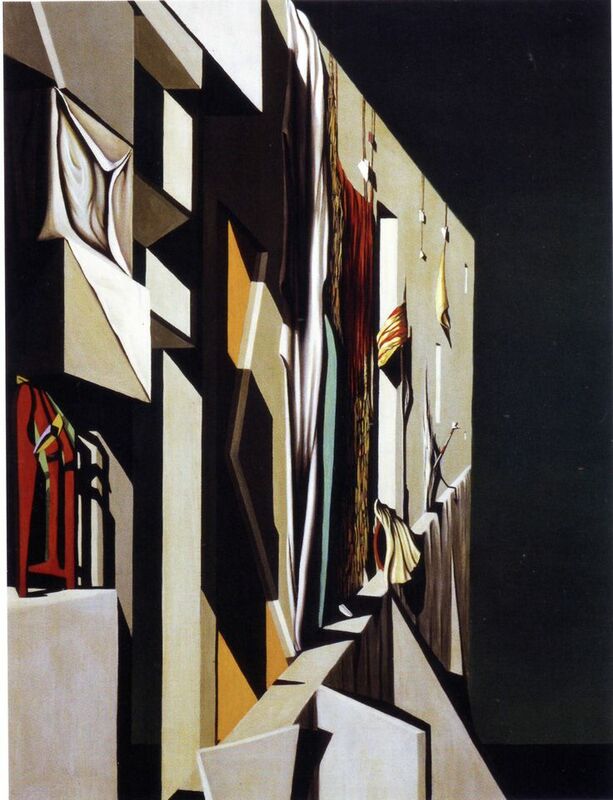 In 1936, she had her first exhibition at the Galleria del Milione in Milan. 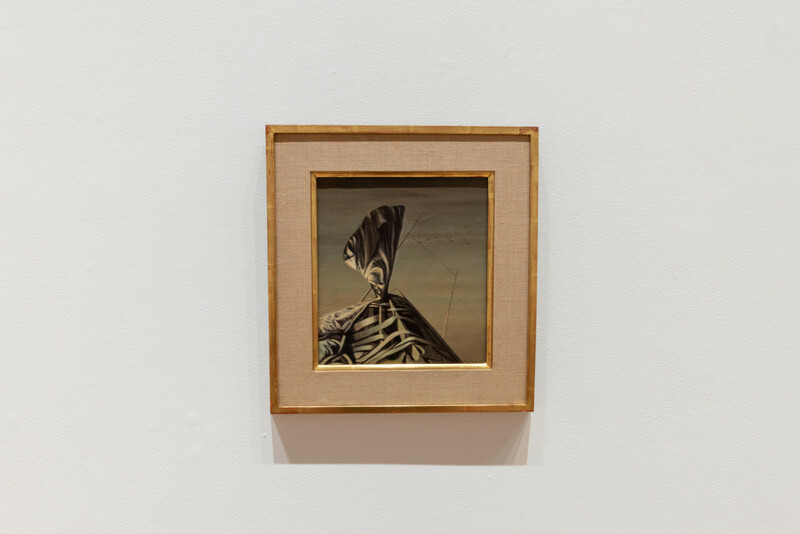 In 1937, Sage moved to Paris where she met many of the artists at the forefront of the Surrealist movement. 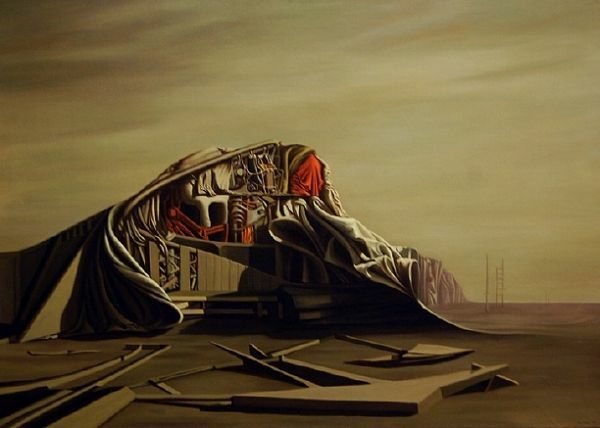 She became romantically involved with successful Surrealist painter Yves Tanguy, with whom she moved to New York at the onset of World War II. 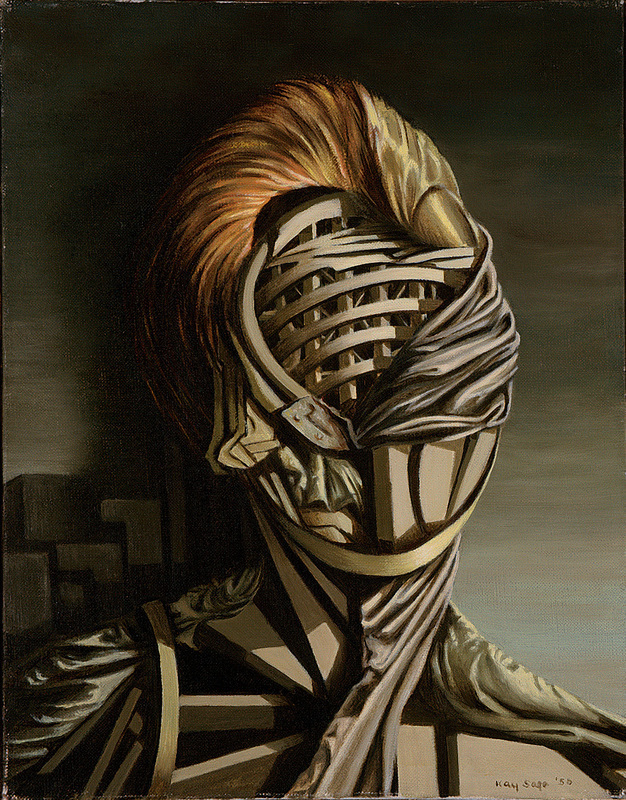 In New York, Sage exhibited her paintings and organized exhibitions of work from Surrealist artists in France. 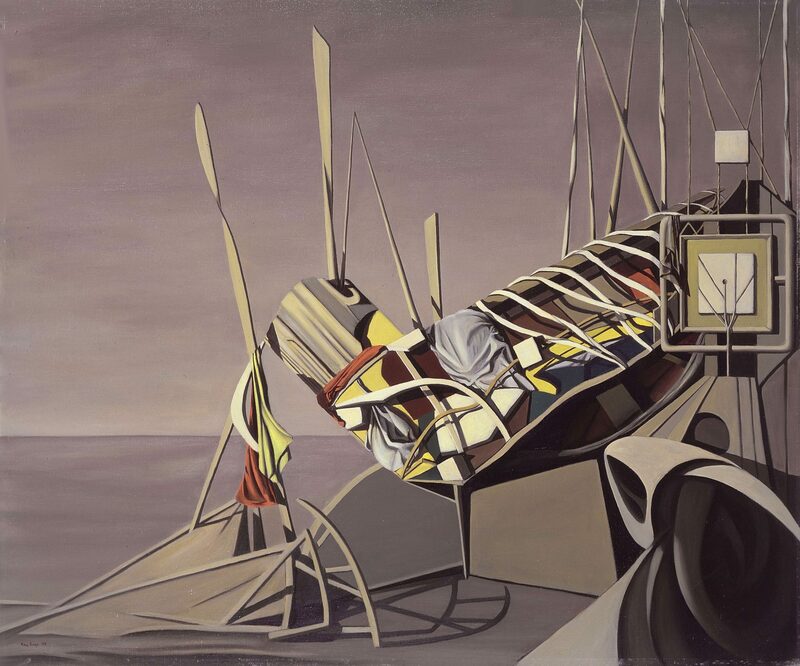 In 1940, she married Tanguy and together they moved to Woodbury, Connecticut where they set up individual studios and continued exhibiting in New York. Upon the death of her husband in 1955, Sage became increasingly reclusive. She continued to paint and published poetry and in 1958, despite deteriorating eyesight, began working with collage. Although she was highly regarded as an artist and continued to exhibit widely with enthusiastic reviews, Sage suffered from depression and in 1963, tragically ended her life. Jessie Sentivan is an independent art historian and curator. She has held positions at the Williams College Museum of Art and the Arthur Dove Catalogue Raisonné Project, and was a contributing editor of the Hans Hofmann Catalogue Raisonné of Paintings. Sentivan is currently the Project Manager of Catalogue Raisonné for the Helen Frankenthaler Foundation.